Eat Me Daily is pleased to announce our new regular feature: Offal of the Week. Each Friday, Ryan Adams (author of Nose to Tail at Home, perhaps the best, most accessible offal cookery blog out there) will be highlighting a different part of the animal that you've always wanted to cook, but were afraid to ask your butcher for. Offal. Innards. Variety meats. The nasty bits. Once a dinnertime staple in America, it's lately been pretty much ignored, with a few holdouts — chitterlings and chicken gizzards in the South, Jewish delis where chicken livers, fat, and onions combine to make chopped liver. But offal is making a comeback, thanks in no small part to a new awareness brought about by celebrity chefs singing its praises, helping elevate kidneys and their ilk from their former position as nothing more than punchlines for jokes. Over the next few weeks I'll be showing you that the unconventional bits aren't something to be feared at all — they're to be celebrated and enjoyed. I'll give you the information you need to break down that mental barrier, so you too can experience the culinary delight that is offal. Tripe has had a long and noble place in history. Greek rhetorician and grammarian Athenaeus sang its praises. Homer wrote that it was prepared in honor of Achilles, the hero of the Trojan war. William the Conqueror noshed on tripe with apple juice. 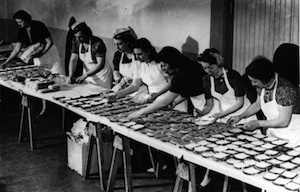 People have been enjoying tripe for centuries in it's various forms and preparations. It's showing up more often on restaurant menus, but it's still not something the average home cook might have taken the leap of faith to prepare. But now it's time for you to step out of your comfort zone and find out what you've been missing. Personally, my first experience with tripe wasn't exactly stellar. My wife and I had been experimenting with a few offal recipes and after coming across some honeycomb tripe at our local supermarket, I decided to go all out and prepare Tripe and Onions. Although neither of us had prepared or eaten tripe before, I had done my research and felt as though I was up to the task. I’d like to say that it was an eye-opening, life-changing moment, but the truth is I just couldn’t palate it. It was tough to chew and the “honeycomb” texture really threw me for a loop. As for the taste, it was like nothing I had ever experienced — and not in a good way. Not one to give up (I've forced myself to learn to love cilantro and Campari, for crying out loud) I decided that I'd order tripe every time I had the opportunity. The greatest chefs in the world swoon for it, so I must have been missing something. And so my true journey into the world of tripe began. Eventually I found that when properly prepared, eating tripe is actually quite enjoyable, with a texture not unlike that of al dente pasta. An excellent dish for beginning palates that plays on this textural similarity is Mario Batali’s Warm Tripe alla Parmigiana, which is on the menu at his restaurants B & B Ristorante in Las Vegas or Babbo in New York. The perfectly-cooked tripe is accompanied by a spicy tomato sauce with rich flavor. While Batali's alla Parmigiana got me happy to eat tripe, it wasn't the shouting-from-the-rooftops life-changing experience I was hoping for. But then came Chris Cosentino’s Spicy Trippa Neapolitan. This was it. This was the epiphany. This was what chefs and other converts loved about this incredible, versatile meat. Tripe lends itself wonderfully to braising, poaching, and even deep frying. Richard Olney, author of The Good Cook: Variety Meats (buy on Amazon) claims that tripe can be successfully braised from one hour all the way up to 20! As with any tough cut of meat, the longer the tripe is cooked, the more tender it becomes — patience is the key to delicious innards. The most common tripe you can find in America is the honeycomb variety (aka the reticulum) , which comes from the second stomach of a cow. A little less common is the blanket or smooth tripe (also known as the rumen), which is from the first stomach. In the American south you can find tripe easily in most supermarkets, but for freshness and quality I would suggest that most people inquire at their local butcher shop about availability. When your tripe arrives, expect for it to be colored somewhere on the yellowish-beige spectrum, with a rubbery texture. 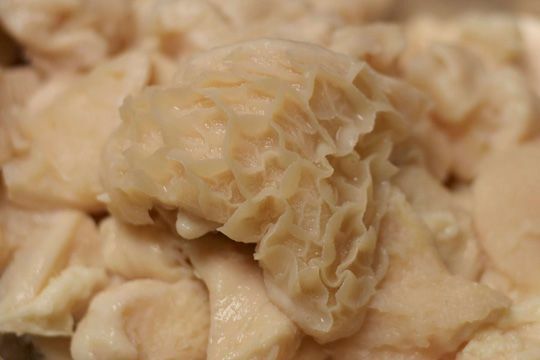 Refrigerated tripe should be cooked no later than two days after purchasing, though it can be frozen with little issue for up to three months.